To view this video, visit https://www.youtube.com/watch?v=hCV35wiqDmU. Quotation marks surround the exact words of a speaker, but where do the other punctuation marks go: periods, commas, question marks, and exclamation points? Watch this video to find out. Then complete the activity. Punctuate dialogue. In each sentence below, insert quotation marks, periods, commas, question marks, and exclamation points. Would you like to watch in a theater or on DVD he asked. In the theater I shouted. You're making me angry I replied. 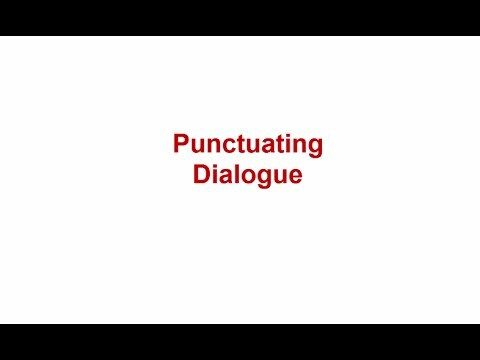 Punctuating Dialogue by Thoughtful Learning is licensed under a Creative Commons Attribution-NonCommercial-ShareAlike 4.0 International License. Based on a work at k12.thoughtfullearning.com/minilesson/punctuating-dialogue.